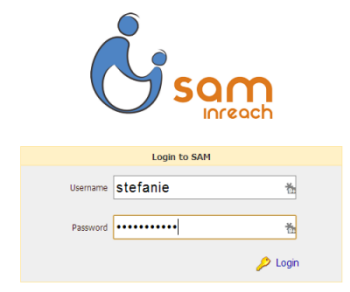 If you've forgotten your SAM password, contact a SAM Admin for your organization. Any user with Full Admin Permissions can reset passwords. Enter your username and password. Press Login to open the home page. Change the temporary password provided at your next login.